Customer has 30 days from date of purchase to return clubs to Golf Plus and receive up to 90% return value. This is in-store credit towards your next club purchase. To receive 90% credit clubs must be model from current year and must have been purchased at the levels below to qualify. Irons must be returned for the same number of irons (or more), woods for the same number of woods (or more). If less clubs are purchased the second time, the customer will be charged the 10% restocking fee plus the difference in the value of the item being purchased the second time. New clubs must be purchased the same day as the original clubs are returned to receive sales tax credit on the set being returned. Stock or custom clubs are included in the Golf Plus Exclusive Playability Guarantee. 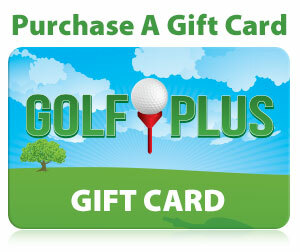 Golf Plus Exclusive Playability Guarantee is valid for 30 fays from original receipt date. Clubs returned after 30 days are subject to current PGA Trade-In Values. Clubs must be exchanged for new clubs the same day to receive tax credit on the set being traded in. Clubs can only be exchanged for new clubs. No cash or credit on any other product. Golf Plus reserves the right to modify this program at any time. Golf Plus Exclusive Playability Guarantee may only be used one time in association with original purchase. After the first Play Guarantee exchange, additional returns will be handled under the normal PGA Value Trade-In Program.